Copper Chimney on Cathedral Road has been there for a really long time. But I had never been to the restaurant. So on a fine Sunday evening I set out with my family members for dinner to Copper Chimney. We made an early reservation as we did not want to be held up by the Sunday rush. On entering the restaurant we got seated in a nice comfortable spot. The restaurant was dimly light in warm white lighting. My brother was the person behind the orders for the day. 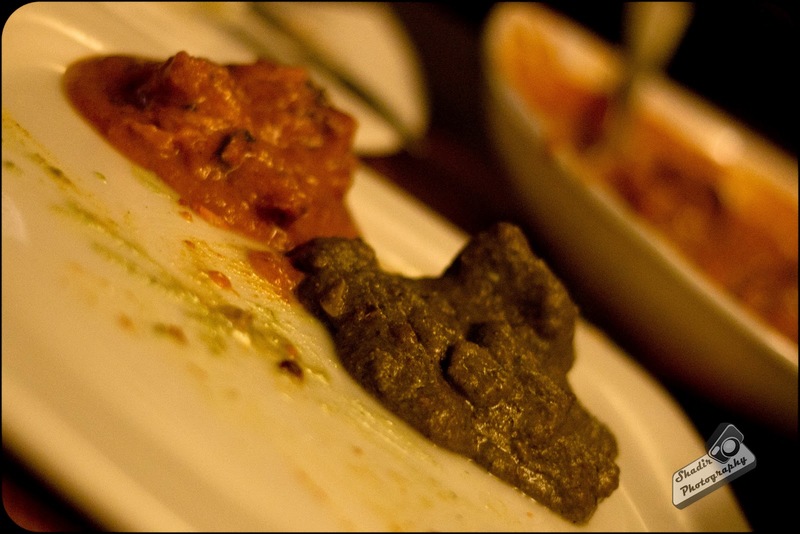 He picked the Panchargi Kebab platter for starters. The platter had about three pieces of chicken, mutton and fish, which were tender cooked and well marinated in spices. The fish kebab was an absolute hoot! 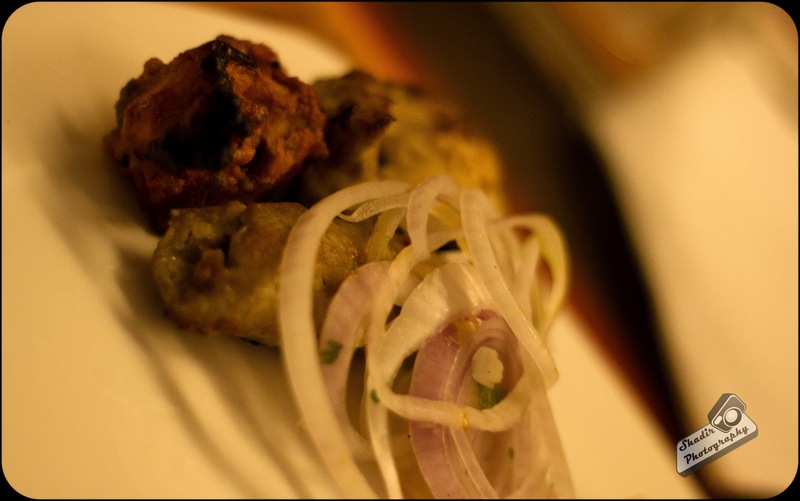 Chicken and Mutton kebabs were tasty as well. I decided to quench my thirst with a sweet lassi. 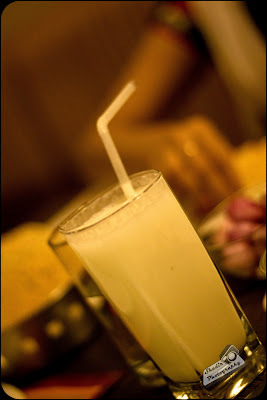 The lassi was a little on the lighter side, still it tasted great. By the time I could take a few sips, it was downed by the other people at my table, namely my brother and sister in law. For the main course, my brother chose Murgh Hara Masala, Butter Chicken Masala and to go with them Laacha parotta and some Romalis. As an after thought we decided to have Dum Gosht Biryani. 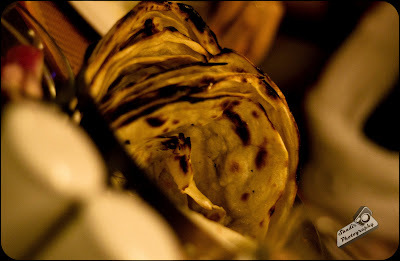 The Laacha parotta and Romalis were really soft and they went well with the lip smacking butter chicken. The portions are huge here. So please do ask the waiter before you make the order. The others around me wowed at the taste of the Murgh Hara Chicken which was chicken cooked in green paste of palak/spinach and enriched with the addition of thick cream. Not being a spinach lover, I just found it decent. Finally I tasted the Dum Biryani. It came to the table in a clay pot, its flavors sealed with an atta/ flour covering.One whiff of it and you could say that the dish was drowned in saffron. The biryani was juicy and flavorful. But I still believe that the biryani's served at a muslim weddings rock! After having such a rich meal, we decided to skip desert. We paid Rs 2100/- for the meal. A little pricy, but the kebabs rocked, so did the portions. I wish to try out all the kebabs on a separate occasion. Copper Chimney is located on Cathedral Road next to Zaras Tapas Bar.